I have taken literally thousands of photos in the past few years. I hardly know where to start! I took it in November 2009. 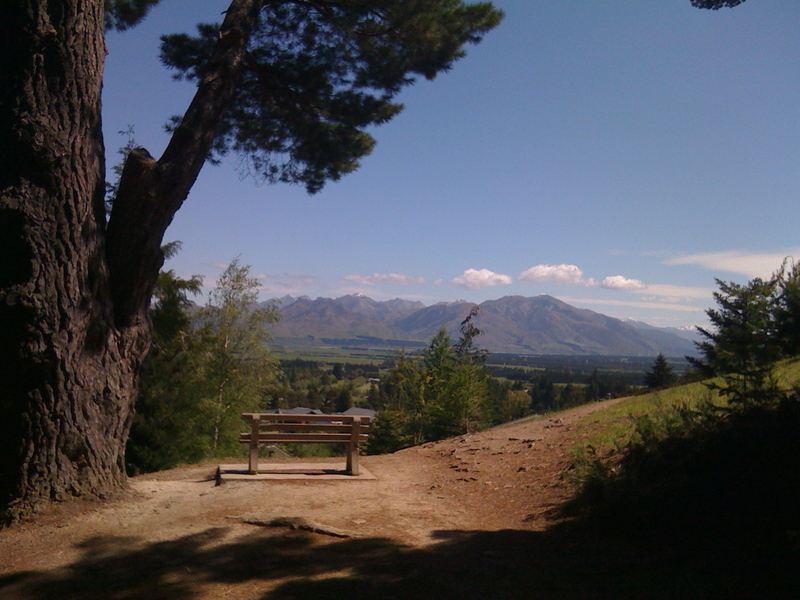 It’s the view from about half way up Conical Hill, at Hanmer Springs. I have been to Hanmer in November the last four years. I love this place, and I love this view. Can you just image getting to this point on your trek upward, sitting on the bench to rest, and taking in the view? Just beautiful.